Plush rooms with marble baths an indoor pool four on-site restauants and a spa with a Japanese garden make the Hotel Okura Amsterdam a luxurious retreat and one of the city's most popular hotels among our guests. The 23-story Hotel Okura offers 300 non-smoking rooms with flat-panel TVs work desks with leather chairs Wi-Fi access for a fee iPod docks coffeemakers minibars and marble-clad bathrooms with hairdryers bathrobes and slippers. Choose from four on-site restaurants to get a bite to eat and sip a cocktail from the hotel's top-floor bar while enjoying views of the city. Room service is available around the clock. The hotel's fitness center features an indoor pool a sauna a hot tub and a Turkish steam bath as well as exercise equipment. 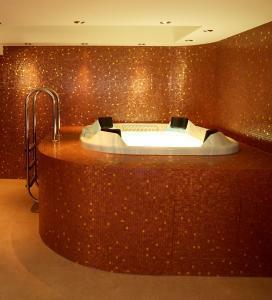 Indulge in a treatment from the spa which features a Japanese garden. Take advantage of the hotel's concierge to make the most of your trip. Currency exchange is provided on-site. Outdoor parking is available for a fee. 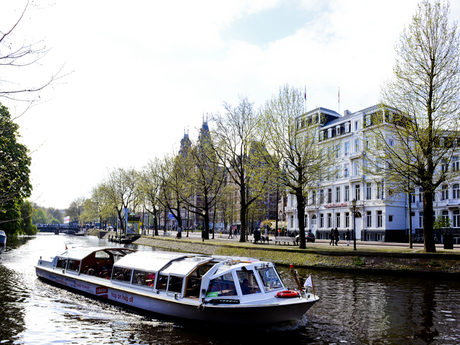 The hotel is located along the Amstel Canal in the De Pijp neighborhood. It is a 10-minute walk to the RAI Conference Center and a 10-minute bus ride to the World Trade Center. The hotel is less than one mile from the Rijksmuseum and the Van Gogh Musuem. The hotel is two miles from Dam Square the Royal Palace and the Red Light District. There is a tram stop outside the hotel which makes it easy to get around the city and provides access to Amsterdam Centraal train station two miles away. Amsterdam Schiphol Airport is eight miles away. The Hotel Okura's "amazing" staff luxurious rooms with "comfy" beds and fitness center with an indoor pool make the hotel "a very good value" according to our guests. With a stay at American Hotel Amsterdam, you'll be centrally located in Amsterdam, steps from DeLaMar Theater and 3 minutes by foot from Leidseplein. This 4-star hotel is 0.3 mi (0.5 km) from Vondelpark and 0.5 mi (0.8 km) from Rijksmuseum.Rooms Make yourself at home in one of the 175 air-conditioned rooms featuring refrigerators and LCD televisions. Complimentary wireless Internet access keeps you connected, and satellite programming is available for your entertainment. Private bathrooms with bathtubs or showers feature designer toiletries and hair dryers. Conveniences include phones, as well as safes and desks.Amenities Be sure to enjoy recreational amenities including a sauna and a fitness center. Additional features at this Art Deco hotel include complimentary wireless Internet access, concierge services, and gift shops/newsstands.Dining Stop by the hotel's restaurant for lunch, dinner, or brunch. Dining is also available at the coffee shop/café, and 24-hour room service is provided. Quench your thirst with your favorite drink at the bar/lounge. Buffet breakfasts are served on weekdays from 6:30 AM to 11:00 AM and on weekends from 7:00 AM to 11:00 AM for a fee.Business, Other Amenities Featured amenities include a business center, complimentary newspapers in the lobby, and dry cleaning/laundry services. Planning an event in Amsterdam? This hotel has facilities measuring 5027 square feet (467 square meters), including conference space. 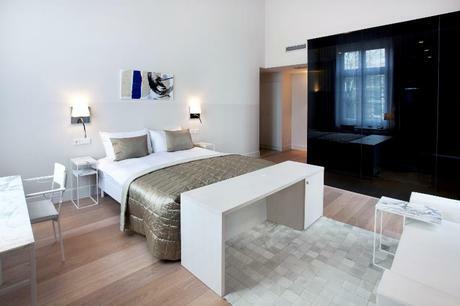 A stay at The Hoxton, Amsterdam places you in the heart of Amsterdam, steps from The 9 Streets and Herengracht Canal. This 4-star hotel is 0.3 mi (0.4 km) from Madame Tussauds and 0.3 mi (0.4 km) from Royal Palace.Rooms Make yourself at home in one of the 111 air-conditioned rooms featuring refrigerators and LED televisions. Complimentary wireless Internet access keeps you connected, and cable programming is available for your entertainment. Private bathrooms with bathtubs or showers feature rainfall showerheads and designer toiletries. Conveniences include safes and desks, and housekeeping is provided daily.Amenities Make use of convenient amenities, which include complimentary wireless Internet access and concierge services.Dining Enjoy a meal at the restaurant or snacks in the coffee shop/café. The hotel also offers room service (during limited hours). Quench your thirst with your favorite drink at the bar/lounge.Business, Other Amenities Featured amenities include a 24-hour business center, complimentary newspapers in the lobby, and dry cleaning/laundry services. Centrally located at a 2-minute walk from Dam Square and only 250 metres from Amsterdam's main shopping street Kalverstraat Hotel Die Port van Cleve has a bar with a unique Delft blue fresco dating from 1887.Hotel Die Port van Cleve is situated in a monumental building making each room distinctive in size and decorations. All rooms feature flat-screen TVs and are non-smoking. 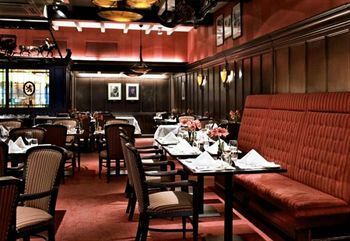 Free WiFi is available throughout.Hulscher's restaurant is famous for its numbered steaks and has been restyled. It combines contemporary style history and tradition. A place to enjoy lunch. dinner and brasserie dishes with a modern twist.From Hotel Die Port van Cleve the Dam/Raadhuisstraat tram stop is a 2-minute walk away and offers direct access to Amsterdam Central Station and the Museumplein. The Anne Frank House is a 7-minute walk away. Location<br/>The hotel is located in the city centre. Guests can easily reach the many bars restaurants and cafes of Leidseplein. 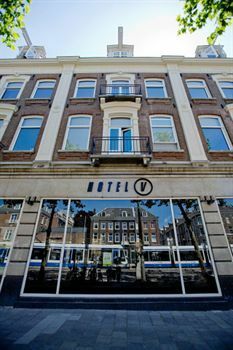 Just a few minutes away are the Vondelpark and museums as well as the shopping streets.<br/>Facilities<br/>The hotel features 70 accommodation units. Guests of the hotel are welcomed in the lobby which has a 24-hour reception and a 24-hour check-out service. The upper floors can be reached by lift. Amenities include a safe. Internet access is available in public areas (no extra charge). 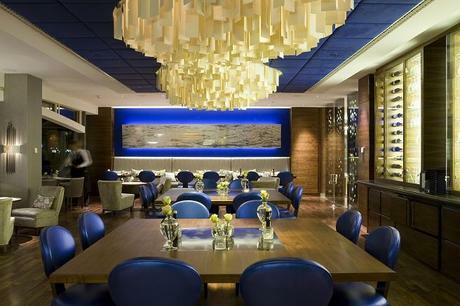 Gastronomic options include a restaurant a dining area a breakfast room and a bar. Parking facilities available to guests include a garage (for a fee) and a car park (for a fee). Other services include a laundry. Active guests can make use of the bicycle hire service to explore the surrounding area (for a fee).<br/>Rooms<br/>The hotel offers family rooms and non-smoking rooms. All rooms feature central heating and a bathroom. A double bed is provided in the carpeted accommodation units. A safe is also available. Additional features including internet access a telephone a TV and wireless internet access contribute to a great stay. In each of the bathrooms guests will find a shower and a hairdryer.<br/>Meals<br/>Breakfast is bookable as a board option.<br/>Payment<br/>The following credit cards are accepted at the hotel: American Express VISA Diners Club JCB and MasterCard. One of our top picks in Amsterdam. 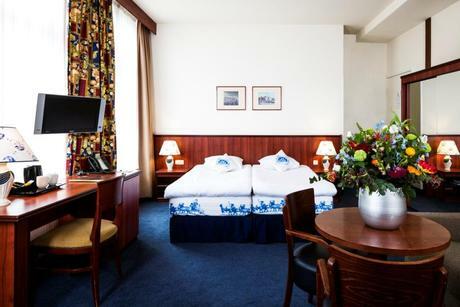 Situated in a former shipping house, the luxurious 5-star Grand Hotel Amrâth Amsterdam offers spacious rooms in the centre of Amsterdam. 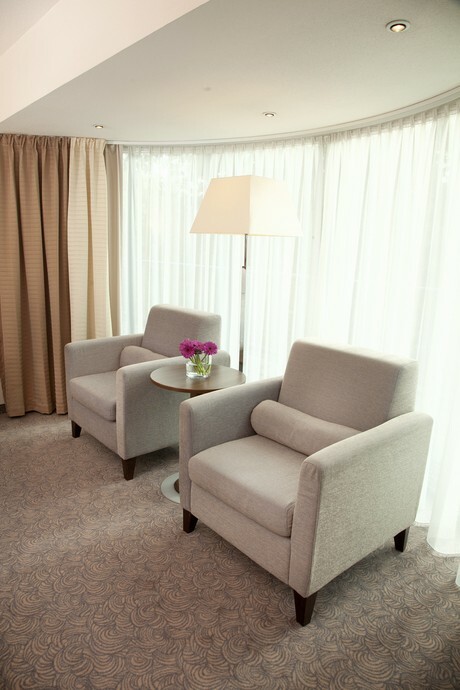 Guests benefit from free usage of a daily refilled minibar and free Wi-Fi. The central station is a 500 m walk away. 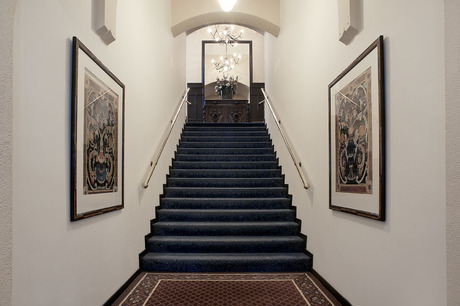 The 165 Art Nouveau-style rooms feature high ceilings and large windows, providing lots of daylight. Extras include a Nespresso coffee machine and flat-screen TV. Enjoy French or international cuisine at restaurant The Seven Seas, or relax with a drink, high tea or a snack at the hotel bar overlooking the canals. Guests have free access to the Spa & Wellness centre featuring an indoor swimming pool, saunas, Turkish steam bath, whirlpool, fitness and relaxation area. Grand Hotel Amrâth Amsterdam also offers meeting rooms for maximum 82 guests. 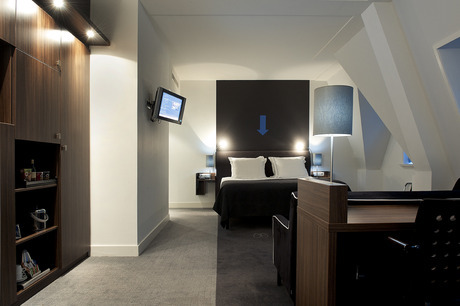 The historical Grand Hotel Amrâth Amsterdam is 1,5 km from the Hermitage and Beurs van Berlage is only 800 m away. Dam Square, featuring the Royal Palace, is less than a 15-minute walk. A 15-minute train ride will bring you to Schiphol Airport. Amsterdam City Centre is a great choice for travellers interested in architecture, city trips and walking. This is our guests' favourite part of Amsterdam, according to independent reviews.